Last week we made it to exactly 100 link ups! Thank you so much! Do you think by chance that we could make it to 150? Is that too crazy? I would love your help in spreading the word about the party. I love when you all stop by and love meeting you and my readers meeting you. Just a reminder…..if you like some of these links….PIN THEM….it will help bring readers to the awesome blogs that are shared here. Here are some great link ups from last weeks party! I love this idea shared by Remodelaholic. I have thought about painting the back of some of my shelves but don’t really want to do anything permanent. This 20 minute project was brilliant! Check it out! Seriously, how neat is this? Wrapping paper people! 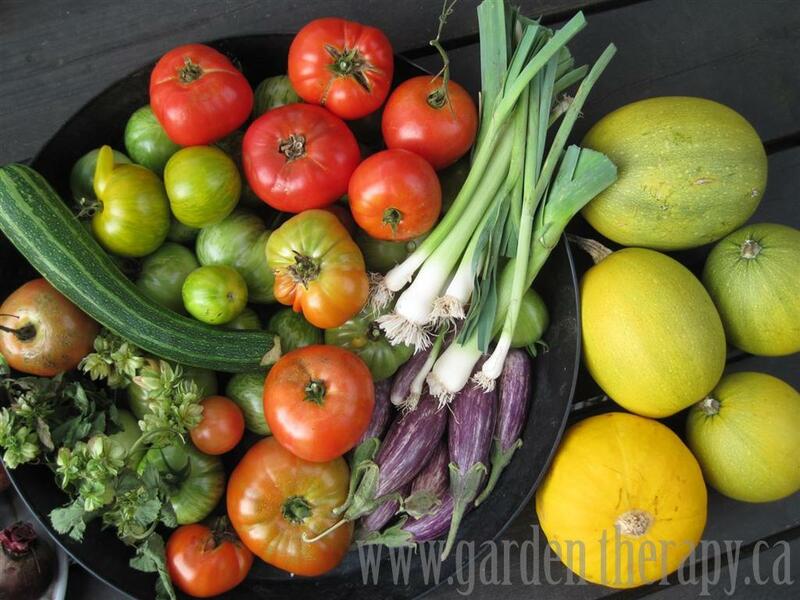 I am planning a garden this year so this “Seed starting 101” post by Garden Therapy was perfect! More Style Than Cash shared an awesome printable for easy heart shaped boxes. Check it out in time for Valentines Day! One of these days I am going to understand whatÂ printable is. I know, I’m a dork. These are just a few…..go check out last weeks party. Pin these awesome blogs. Share the love! Now let’s see what you are up to this week. Don’t forget you can link up to the other awesome Monday parties! Their readers can’t wait to meet you! Now….link up whatever you have been up to! It doesn’t have to be DIY related. *Follow in some fashion. I would love for you to hang out with us on Facebook as well. I would love to get to know you! *Link back to my blog in the post that you are sharing. You can grab my button on the button page or just pop in a text link. I’m fine either way! Let’s see what you have been up to! Spread the word on the party and let’s see if we can get to 150. I would be so excited! ← Green vintage lamp and green growing onions…. Oh MY! I am NEVER first….thanks for hosting the party. Happy Valentine’s Day to all! Entered my link and followed you on your Linky. Thank you for hosting! Following you and linking up~THANKS! Congrats on 100 linkups!! Linked up a fun thrift find. Made sure to be following you in both GFC and the new Linky! Hope you’ll stop by and follow back. This is my first time linking up to your party! Thanks so much for hosting. I have a party that I host “turning the daunting into the do-able” at Project Queen that begins on Tuesdays. I’d love it if you came by and shared something! I am new to your blog and am so glad that I found it!! Just linked up a few of my projects! Adding you to my craft links, and following on linky! Thanks so much for hosting! Thank you so much for hosting the Linky party and congrats on 100 entries. Yeah! I accidently entered twice and don’t know how to delete the second one. The entry is titled “reclaimed towel rack”. Sorry! Can you fix it? Thanks again! Thanks so much for hosting this great party! Have a great week! 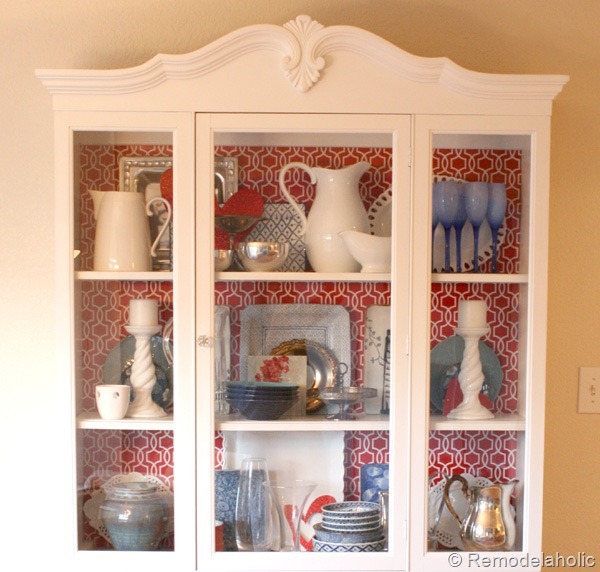 Cupboards are look with different decorative things.It look so beautiful and wonderful.Thanx to share with us.